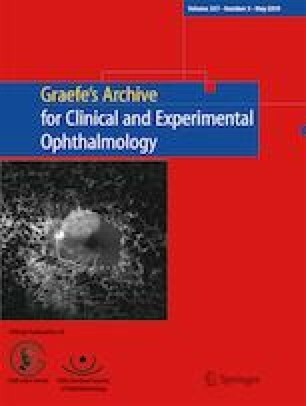 The purpose of the study was to investigate the characteristics of the parafoveal cone density changes in patients with retinitis pigmentosa (RP) using adaptive optics scanning laser ophthalmoscopy (AO-SLO). A total of 14 eyes of RP patients and 10 eyes of control subjects were examined. High-resolution images of cone photoreceptor cells were obtained with a Canon AO-SLO system in the four retinal regions of the superior, inferior, temporal, and nasal areas located 1.0 mm from the central fovea. The relationships of cone density with optical coherence tomography (OCT) findings and the visual sensitivity of the static perimetry tests were analyzed in RP patients. The averaged cone densities in RP patients were decreased at 1.0 mm eccentricity from the fovea (11,899 cells/mm2) compared with those in control subjects (16,647 cells/mm2; P < 0.01). The cone density was substantially decreased even in RP patients with an intact interdigitation zone at the examined area (12,865 cells/mm2; P < 0.01 vs. controls) and preserved visual sensitivity with > 35 dB (13,019 cells/mm2; P < 0.001 vs. controls). In RP, cone photoreceptor cell loss occurred in the parafoveal region with a preserved EZ/IZ or visual sensitivity. AO-SLO may be a useful modality to detect early changes of cone photoreceptor cells in RP patients. The online version of this article ( https://doi.org/10.1007/s00417-019-04307-0) contains supplementary material, which is available to authorized users. We thank K. Fujiwara, Y. Kaizu, and T. Hisatomi for their support for data analysis and K. Nomura and T. Kitamura for their technical assistance with the AO-SLO imaging. This work was supported by a Japanese Ministry of Education, Culture, Sports, Science, and Technology grant (no. 16H06268 to YM), a Japan Intractable Disease Research Foundation grant (to YM), a Japanese Retinitis Pigmentosa Society grant (to YM), and a Rohto Award (to YM).